Sustainability has become one of those buzz words companies quite liberally throw about in their value statements and on their websites, but what will a truly sustainable company, in a sustainable economy, look like? Sustainability is not merely about being "green". 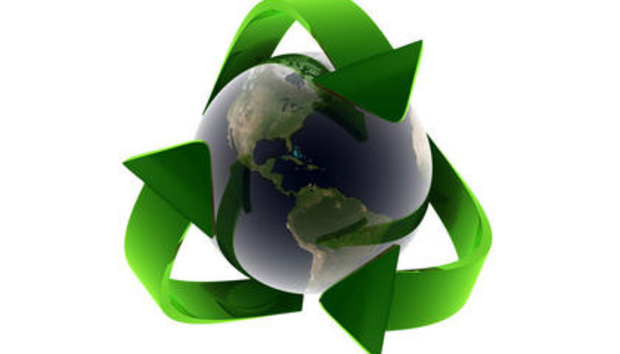 If a company is eco-friendly, but unprofitable it is not sustainable. If a company is profitable, but its people are overworked and underutilised, it is not sustainable. True sustainability only occurs when there is complete balance with regards to an organisation's people, profits and the planet. Often, the three go hand in hand. By simplifying one process, your people are freed up to do more, your carbon emissions go down and your profit soars because you're cutting out unnecessary expenditure and your staff can work more effectively and produce more of what you do. computers are the nervous system for any organisation - and wherever there is a PC, there is usually waste. In IT intensive organisations, optimising you IT infrastructure is one of the easiest way to create a platform that allows sustainable growth and development in your company, as well as reducing emissions. At one of the 4 large banks in South Africa that I recently visited, their staff were leaving their PCs turned on 24/7. This probably happens in most offices, where the IT department conducts security patching overnight. It's something we rarely think twice about when we're leaving the office, but the 1000's of PCs that were being left on not only had the effect of releasing a whopping 7 500 metric tons of CO2 emissions into the atmosphere unnecessarily, but it also incurred a R4-million electricity bill. That business is not operating in a sustainable way, particularly if one considers the looming carbon tax and Eskom electricity hikes. Yet a simple, tech solution can enable wake-up LAN technology that reduces energy without interfering with their nocturnal security patching and shuts machines down when not required. Software distribution points are another big source of IT waste. Large geographically dispersed organisations (particularly banks and retailers) often invest in huge server infrastructures that are extremely hard to maintain. Software solutions exist that can replace these servers (typically one at every branch) with a few centrally located servers. This not only reduces your hardware spend, but your maintenance and staff costs too, freeing your IT team up to do more within your network. Once again, your profit goes up, your staff's time is freed up and your carbon emissions go down. Even if your company is not leaving on PCs overnight or if they don't have dozens of servers, I can guarantee you there are still hidden costs that you are wasting resource in your business. Most organisations have either unused software (installed on PCs, but not needed or used) or shelfware (software that is purchased but never deployed) in their organisation. What they don't realise is that the maintenance costs for this software can run between 15-20% of the license fee. Add to that the fact that we typically see between 20-40% of software being installed remaining entirely unused at any given company, and you're paying a hefty price tag for no reason whatsoever. In the United States alone, they believe that this accounts for $12.3 billion in preventable and ongoing costs. Are you auditing your software costs? Eco-friendliness is simply a by-product of efficiency and sustainability. As Lester Brown, puts it, ""In nature, one-way linear flows do not long survive. Nor, by extension, can they long survive in the human economy that is a part of the earth's ecosystem. The challenge is to redesign the materials economy so that it is compatible with the ecosystem." If the carbon tax initiative is passed, as planned, in the next two years, many organisations are going to be scrambling to reduce their emissions - and they will probably waste more time and effort than they need to. If we hope to create a more sustainable, efficient economy, we need to start putting systems in place that are sustainable in terms of people, profit and the planet - we can do this by addressing some of the technology problems that are affecting all three elements.